Arduino is a tool for making computers that can sense and control more of the physical world than your desktop computer. It’s an open-source physical computing platform based on a simple microcontroller board, and a development environment for writing software for the board (Arduino). Much like the free/ open-source software movement, open-source hardware are designs, and code allow people to create tangible objects. This can range from motion controlled technology, to guitar effects pedals, or non-electronic items such as coat hangers. Open-source hardware files are licensed under a Creative Commons Attribution Share-Alike license. This means that individuals and companies can use the files, so long as whatever they make is properly attributed, and their designs are made available to the community. Why does open-source hardware matter? Expect open-source hardware to remake the world similar to the way that open-source software remade the world. Ignore this stuff at your peril. How do I start using Arduino? You can order a Quick-start kit, or a Getting Started with Arduino Kit V2.0 from Make. 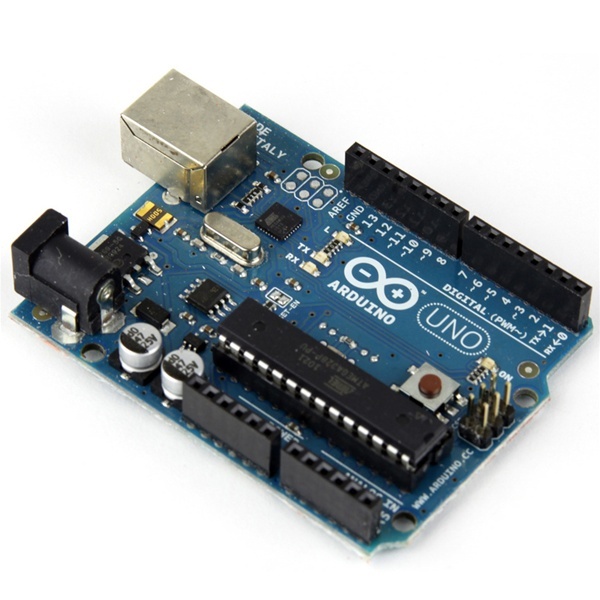 There are also a number of other Arduino solutions available for beginners that you can find online. I recommend checking out the “Getting Started” section of the Arduino website before making a decision. How do I learn more about Arduino? The community is vast, active and growing. The Arduino website has a wealth of information. YouTube is packed with Arduino “how to” videos. The Arduino documentary is a good starting place. It will give you a solid understanding of the intent, capabilities, and a glimpse at the future of the platform. If you are interested, on a regular basis I publish a series of Arduino tutorials that may be of interest at http://tronixstuff.com/tutorials. Have you had any luck making things? My hubby tried a couple times, but I think it requires too much patience or something. Hollie – I’ve tinkered a bit with some friends who have a ton of experience. I haven’t experimented much on my own, but I am looking forward to doing so.